Rhythm Calculator is for any musician. 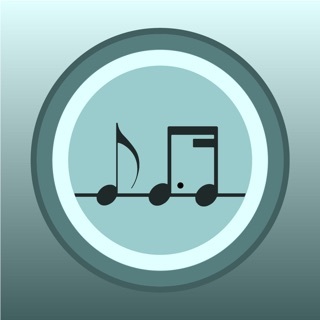 Whether you are just starting to learn an instrument, practising more advanced pieces, or have been composing for years, this is the app for you. For music teachers, this is a valuable teaching aid and can help improve the quality of your students’ practice sessions. 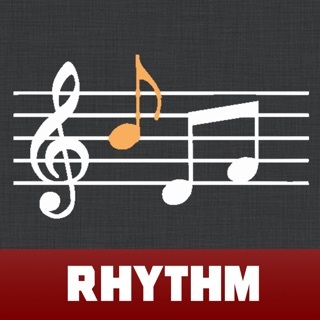 Rhythm Calculator allows a musician to quickly and easily input a complicated section of musical notation and hear it played back in perfect time and tempo. Learning the relationship of notes through manual input and visual highlighting will improve your sight-reading skills. 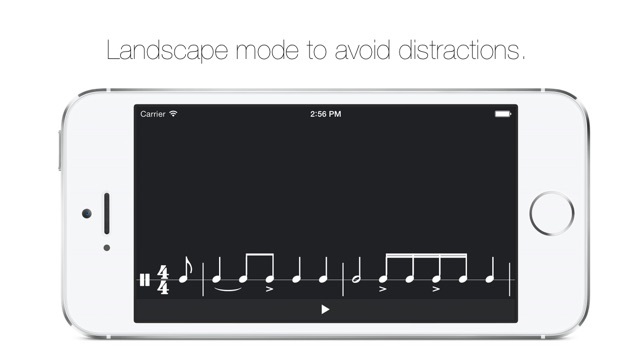 Slow the rhythm right down to practice that tricky passage. Save the rhythm for a future practice session. A great tool to have in your pocket! 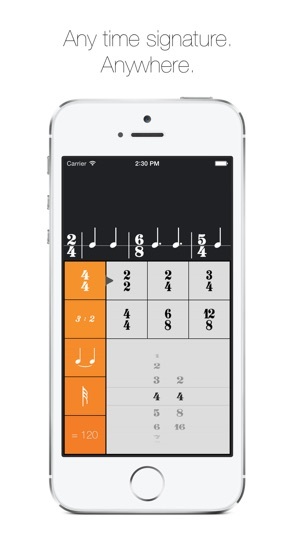 With a simple and familiar calculator-style user interface, inputting rhythm is a breeze. Hit the ‘=‘ button to hear the rhythm played back repeatedly so that you can play along. I'm interested in seeing a few improvements to this app if possible. 1)A clearer way to write triplets based on the duration you initially want. So you want a triplet quarter note in the duration of a half note then it would allow you to write that. Current version isn't quite there for the more complex rhythms. 2) a way to accelerate and decelerate to a new tempo would be useful. 3)Being able to write a sudden tempo change half way through the excerpt. 4)change what that speed is based on. Instead of always having a quarter note be the measure it would be nice to be able to use in 8th or 16th. 5)Having the pitch of the beat change would help when trying to keep in a key. Instead of a drone it would be a pitched beat. 6) polyrhythm writing by adding another line that is completely independent from the first. 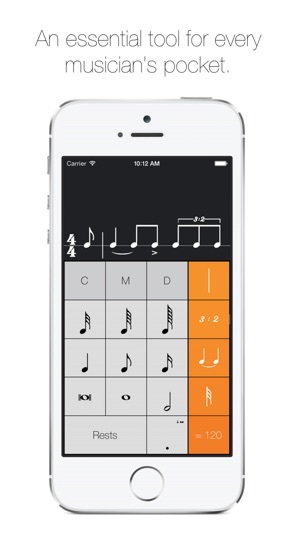 This would help percussionists with more complex works. That's a just a few things I think would help this app. It's useful as is but it could be a lot better. Still 5 stars. This app was a great idea. It looks good, the concept is there and the rhythm plays back very accurately (once you finally get it entered correctly). That said, the interface is atrocious. Horribly clunky, glitchy, and hardly user friendly at all. The cursor doesn't work in the editor. The settings don't save after changing them. The memory tool is clever, but overall confusing and not simple enough to use. This app is CERTAINLY not worth the money I paid for it. It should be free. I would be happy to have spent the money I did if the app were updated and overhauled to make it smooth and efficient to use. I give it a C-. 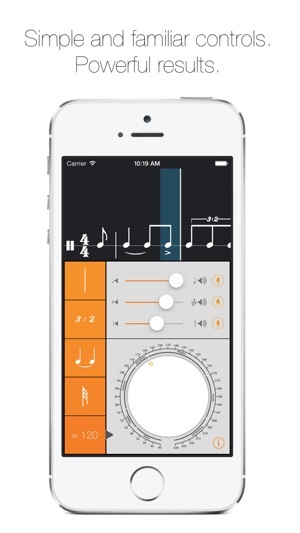 I really like this app so far, I was looking for a tool to help with rhythms since I'm a few years out of practice from playing my instrument and for the most part this app fits the bill. The reason I gave it two stars is that the half and whole note rests are reversed. 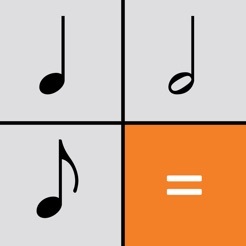 I was able to figure this out and move on, but I've read music for 15 years. 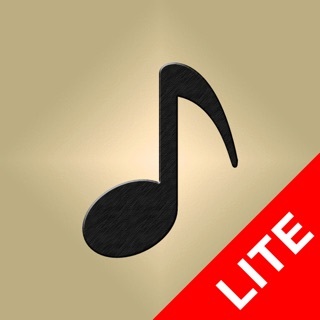 For someone who is just learning music and looking for help those rests are hard to tell apart and this app would be teaching them the wrong thing. Gotta fix those whole and half note rests. 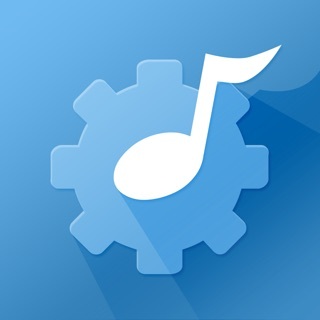 © 2014 JET Powered Apps Ltd.